The warmer months appear to be showing zero signs of a sudden exit, much to the delight of sun seekers across the city. My trip to Malta was suddenly cancelled a few weeks ago but I was able to catch some serious sun rays in Holland Park instead! What is the one essential daily item that has the power to transform you into a summer goddess? Answer: a luxury summer fragrance! The London Musings Summer 2018 Fragrance Edit includes many names we are very much in love with - all year round. The shortlist includes submissions from each brand, with a special sunshine-inspired story for you to wear. Inspired by the sacred hinoki wood that originated in Japan, used to build temples and religious shrines, Amouroud's White Hinoki Eau de Parfum celebrates the ancient material with warming notes of ginger, blood orange and white pepper. Subdued lightness is overcome with the depth and richness of labdanum and cinnamon, before giving way to tobacco and bourbon for a captivating, full-bodied scent. Inspired by a passionate summer romance, this enticing floral fragrance with woody undertones is for the flirtatious, feminine and fun-loving romantic. A top note of confidence-boosting Bulgarian rose is combined with bergamot and magnolia reminiscent of a fresh breeze blowing in the blistering heat, while ambergris evokes the clear, turquoise waters of a marina. Heart notes of Florentine iris, rice and Virginian cedar wood create a slightly powdery and woody scent, combined with base notes of Indian sandalwood, apple and jasmine to add a lasting flirty sweetness. Berber Blonde is Sana Jardin’s signature scent. Envelope yourself in love and warmth with this glittering, ﬂoral scent that exudes rays of fragrant, golden sun. The pure essence of orange blossom spirits you to exotic, sun-blessed climes. Rare, shimmering notes of orange blossom ﬂowering on a Moroccan tree are captured with orange blossom water, neroli oil and musk. Inhale to feel your spirits soar. Experience a mischievous floral scent this summer. Daughter of Lady Blanche and Lord George, Rose married a Duke to escape the stifling rigidity of her family and to become the Coveted Duchess Rose. At first, naively romantic, she has now become disillusioned and frustrated in an unsatisfactory marriage. Always looking for fun and frivolity (and perhaps love affairs), her fragrance is a not so innocent fresh rose. Indulge in summer romance with this light, cottony fragrance. In ancient Greece, one myth stood out as the most passionate and sensual: the love between Psyche and Eros, the beauty's quest to meet with her lover and the happy outcome of their union which led to the birth of their daughter, Hedone. Only one scent can convey this legend as a fragrance: that of musks. Equally legendary, they have the unique ability to enhance the skin with their arousing carnal accents. They are at the very heart of Fleur de Peau, highlighted with the elegantly powdery iris and fruity, ambery ambrette seeds. 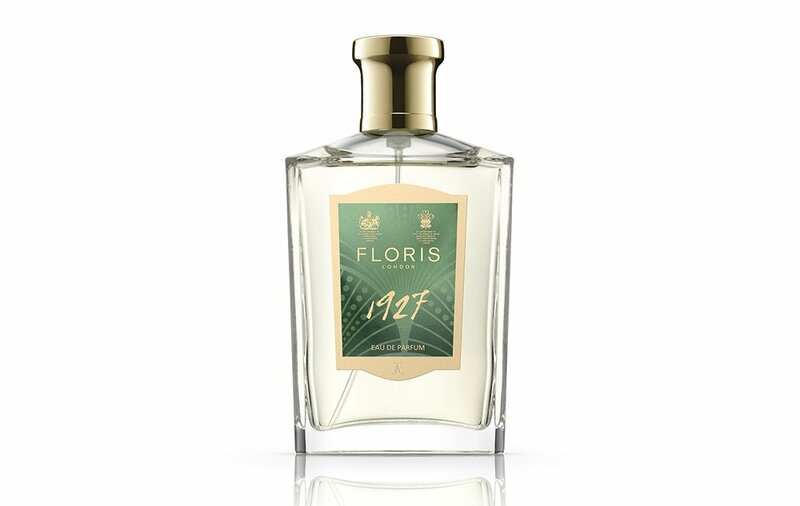 1927 is the newest scent form Floris. A sparkling floral citrus fragrance bringing to mind the elegance, opulence and glamour of the twenties, ‘1927’ opens with decadent shimmering aldehydes balanced with a burst of zesty bergamot and hints of mandarin. These top notes are then accompanied by a voluptuous floral heart of violet, ylang ylang, and narcissus with mimosa, all adding depth and complexity. 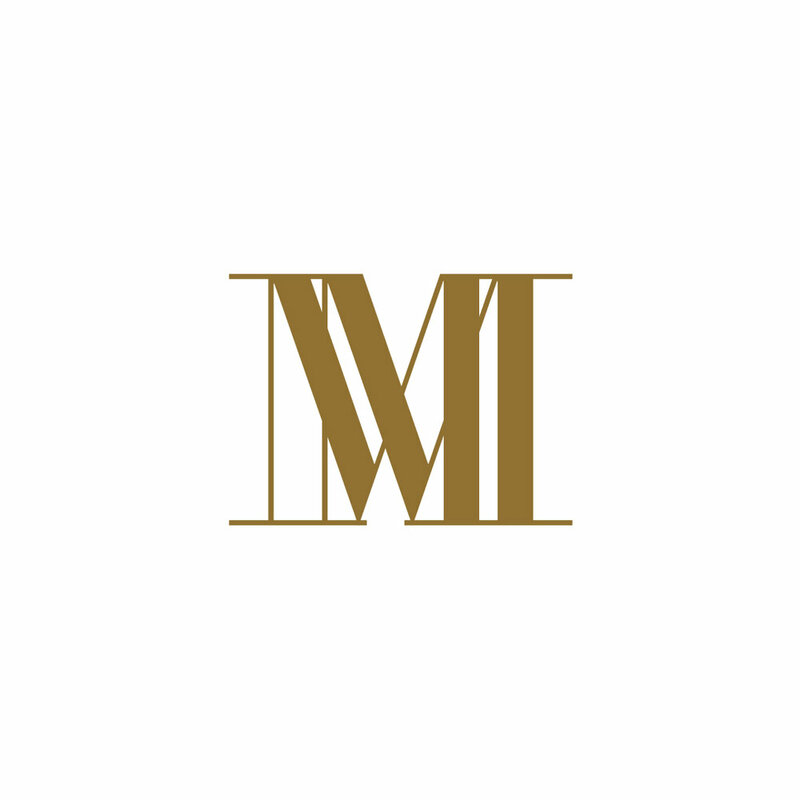 ‘1927’ concludes with the rich, sensual base notes of musk, amber, patchouli and vanilla. This fragrance is perfect for free-spirited lovers of the great outdoors. 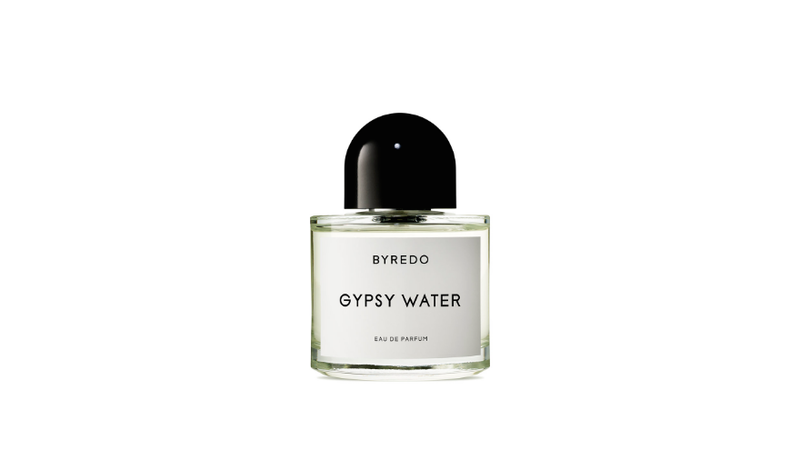 Gypsy Water is a glamorisation of the Romany life style, based in the fascination for the myth. The scent of fresh soil, deep forests and campfires illustrates the dream of a free, colourful lifestyle close to nature. Inhale this scent to be transported to a dream-like state in summer meadows. “Fortnum & Mason - it is impossible not to be enveloped by the richness of this iconic symbol of British luxury. I love its understated elegance - the subtle gestures that are distinctly British - distinctly Fortnum's. I have reflected this in the composition, a luxurious Amber base, rarely used in perfumery, forms the foundation of this creation, whilst an exquisite blend of Leather, Aoud, and precious Woods intermingle with the note of Rose – the flower of England. 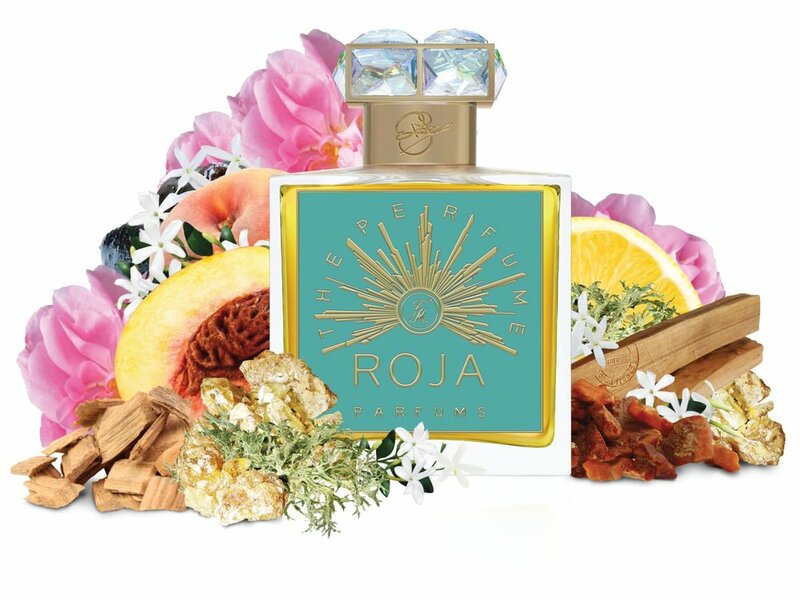 The sunburst – an emblem of the store – adorns the label and box, evocative of the timelessness and warmth that pervades every floor.” - Roja Dove.